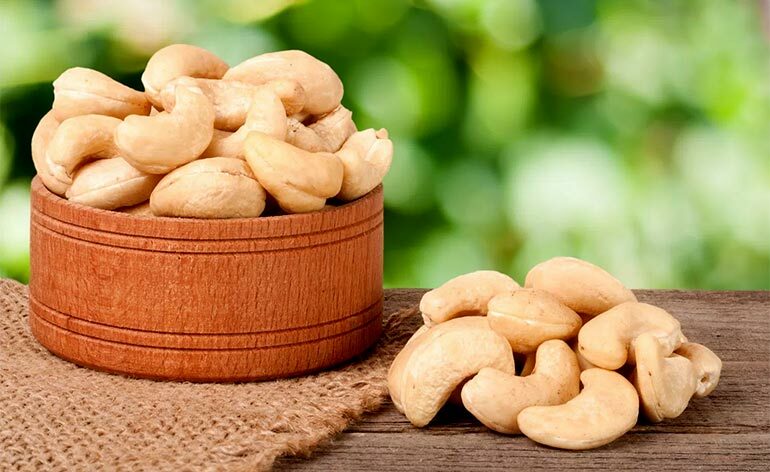 Home » Diet » Top 5 Health Benefits of Cashew Nuts! Top 5 Health Benefits of Cashew Nuts! The tropical cashew tree is an evergreen plant responsible for the production of the cashew seed, the lesser known cashew fruit and is native to the Amazon forests of Brazil. The majority of cashew nuts are produced commercially in India, Vietnam and Africa. The cashew fruit, known as the cashew apple, can range in colour from a vibrant yellow, bold orange or even a light red. It is within the cashew apple that the cashew nut can be found growing within a solid outer shell. Read on to find out what they can do for you in our Top 5 Health Benefits of Cashew Nuts! Cashew nuts are high in naturally occurring monounsaturated fats. These healthy fats assist your body in maintaining a healthy heart by lowering harmful cholesterol in your blood. Switching from processed trans fats to these monounsaturated ones can result in steady, sustainable weight loss. The maintenance of a healthy body weight can dramatically reduce the pressure on your cardiovascular system, this will prevent the risk of you suffering a heart attack or a stroke. Other foods that contain these healthy fats are avocados and macadamia nuts. In addition to the high-calorie content of cashew nuts, they are an excellent source of healthy protein if you’re an athlete looking to bulk up or want to gain weight. Every 100 grams of cashews contains a whopping 553 calories and 18g of natural protein, that’s 36% of your daily protein requirement. An average handful of cashews will supply you with approximately 100 calories. Cashews contain an extremely potent antioxidant pigment called Zeaxanthin. This pigment can be absorbed by the human eye at night and assists in forming a protective layer over your retinas. The protective layer that’s created promotes eye health and stops the damage harmful UV rays can cause to your eyesight. The essential dietary fibres oleic and palmate acid are present in cashew nuts. These particular types of fibre cannot be produced by your body but are essential to the balance of your gut as they aid in digestion and notably decrease the risk of developing serious intestinal and bowel diseases. Cashew nuts are extremely high in magnesium with 100 grams containing a massive 73% of your daily magnesium intake. Magnesium is vital to the maintenance of strong bones as it assists in balancing the calcium in your body, over two-thirds of the magnesium in your body can be found on the surface or inside your bones. A lack of magnesium in your body can result in muscle spasms, migraines and fatigue. Cashew nuts possess a crunchy texture and a creamy, buttery taste. These nuts are often sold roasted, salted or even sweetened in supermarkets, however, they can be purchased from health food stores in their natural raw state. Cashews along with almonds and pistachio nuts are often found amongst the ingredients used in a range of both sugary and savoury dishes, curries and rice dishes, along with biscuits and cakes to name but just a few. Love cashews and have something to say about them? Let us know below or @KeepfitKingdom ! Top 5 Ways to Increase Your Lung Capacity! 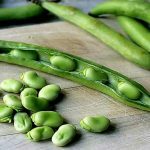 Top 5 Health Benefits of Fava Beans! 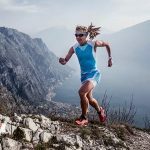 5 Keys To Rapid Recovery when Injured! Top 5 Health Benefits of Sweet Potato! 5 Top Keys To Mindfulness!